Imagine a house that grows through biological and technological processes: a house that finds its site through self organisation, that can be used while it is growing, and is able to adapt to the climate; a house that continues to grow when more space or a stronger structure are needed, a house that doesn’t produce any waste, and can decompose itself once it has reached the end of its life cycle. 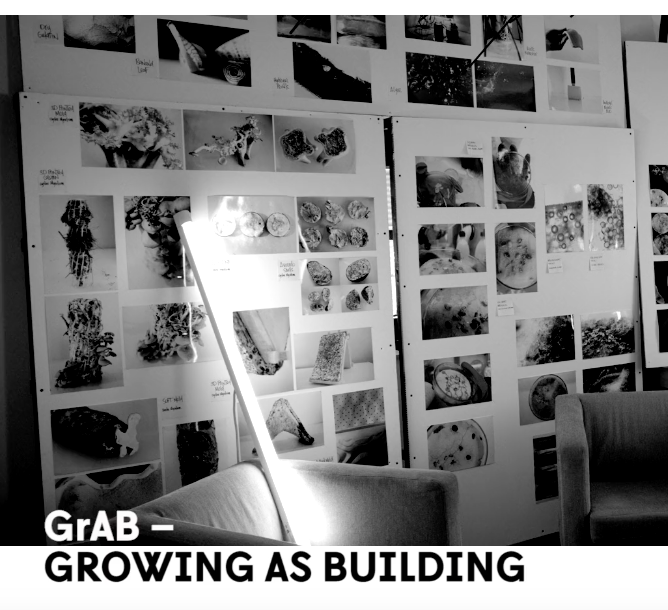 The research project GrAB – Growing As Building explores this idea through an interdisciplinary team involving the fields of architecture, biology, art, mechatronics, and robotics. 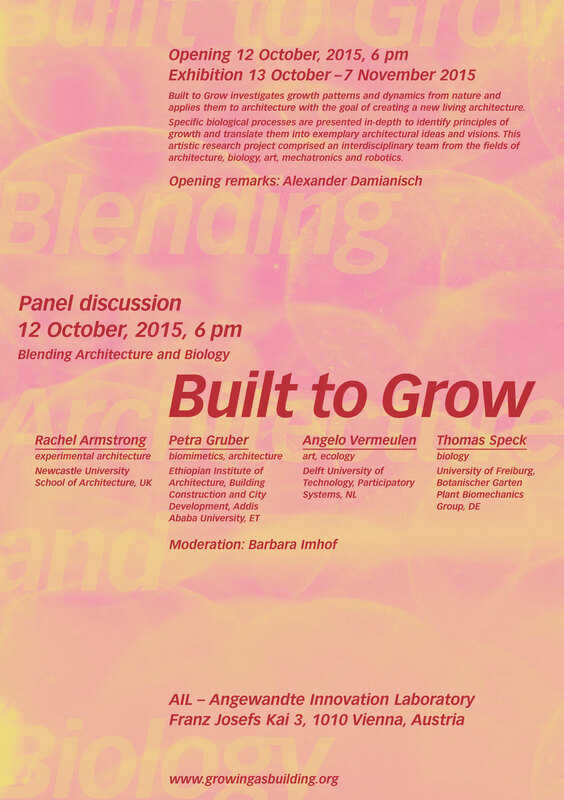 The aim of the project is to bridge the differences between biological and technological growth principles and to create proto-architectonic examples of a new living architecture. Starting from architectural visions, role models from nature were strategically investigated. 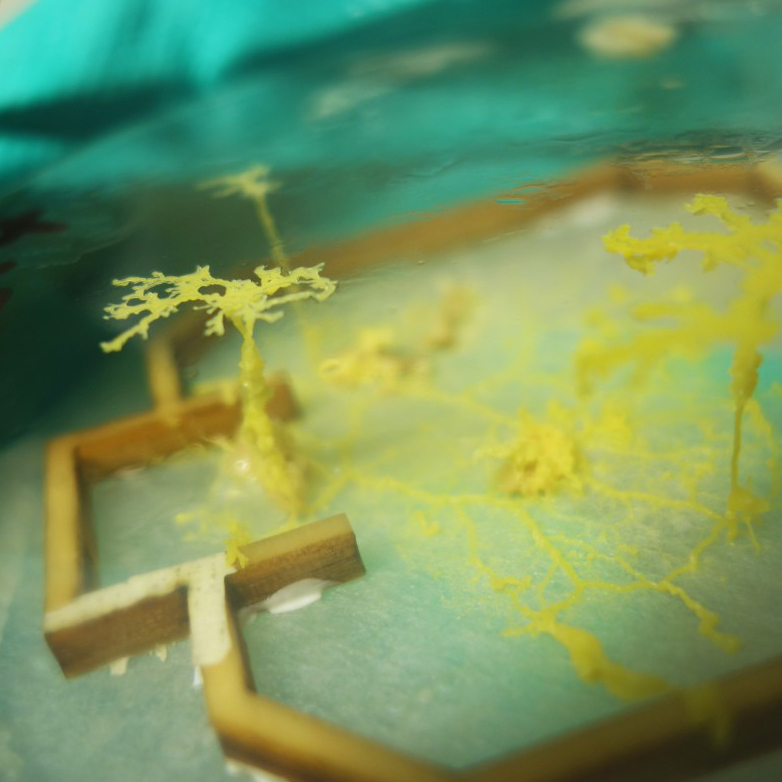 A Biolab served as research platform for experimentation with organisms such as slime mould, mushroom mycelium and algae, and for implementation of biological paradigms into architectural solutions. Principles from biology such as self organisation, hierarchical order of material at different scales, and cyclic metabolic systems were transferred to specific architectural concepts. Moreover, in order to produce this new kind of differentiated and adaptive structures, technologies for 3D printing were used and developed further. Excerpts from a conversation among different experts about agency, emergence and resilience, and a discussion about the immanent values and ethical aspects of this research are presented to contextualize the work within our world of change.